Most Web 2.0 tools have a feature called “tagging.” If you consider the “Digital Catechesis” Ning Network that you may belong to, what you or others share on the Web 2.0 website can be easily found when tags are used. 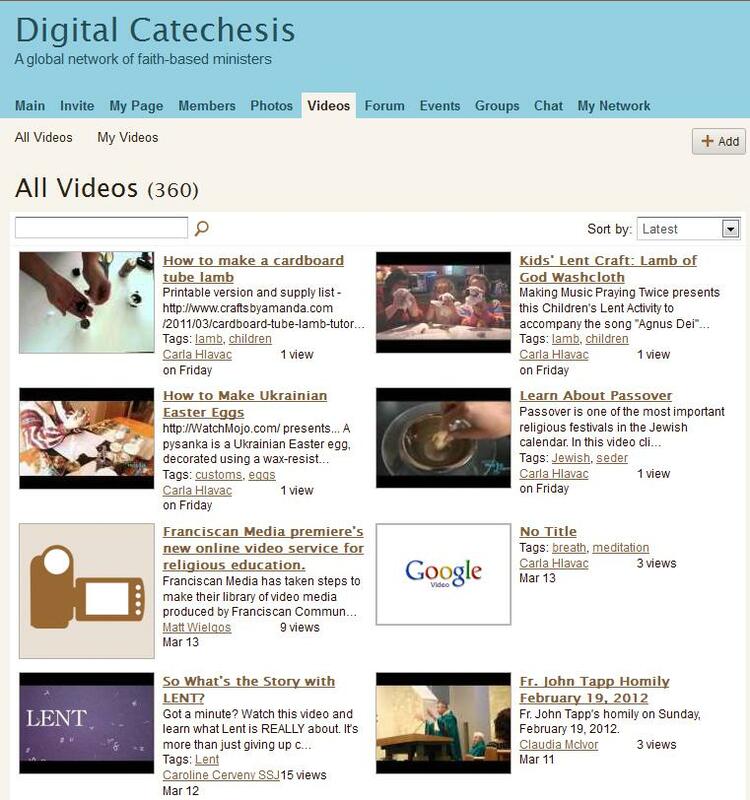 Videos: There are over 350 videos that have been shared on the Digital Catechesis website by its members. If you look at the list, you will see “tags” are part of the information for each item. These are “tags” that have been added by the one sharing the video. What’s the advantage to tagging this content? 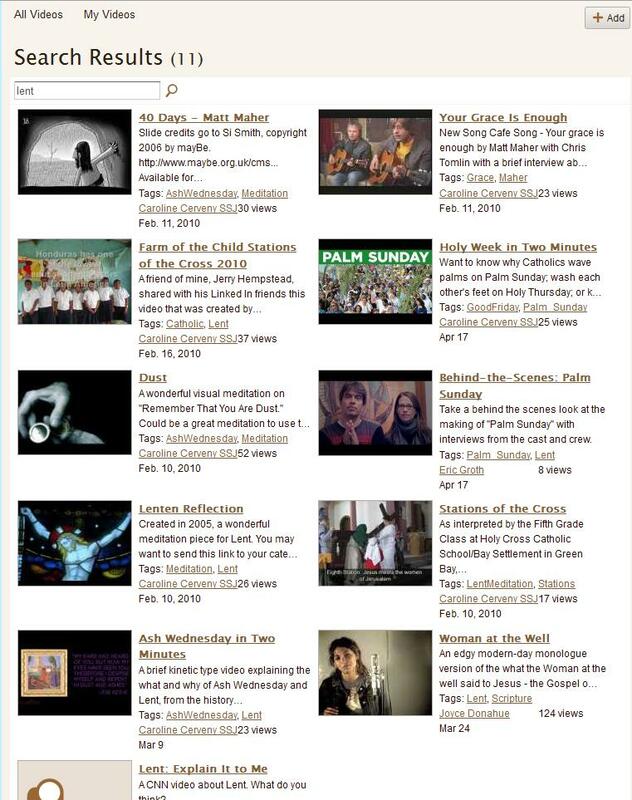 If you look at the search field that is below “All Videos,” if you are looking for specific content, say for “Advent,” “Lent”, “networking,” and other topics YOU may be interested in, you can enter in the tag, let’s say “Lent,” and in 5 seconds or less, videos that are related to “Lent” are found. (Image DC-102 – next page) You do not have to look through each page to find your Lent videos. The advantage of this system is that in a sharing environment, the contributors are informally cataloging the material that they are contributing. With common tags, the “mountain” of material can be organized quickly and easily. What you share and what others have shared can be found in a matter of seconds.